Are they experienced? Experience is important in this field, especially when it comes to anything like implants. You want to work with a doctor who has not only done hundreds of these procedures in the past, but can also properly advise you on what to expect, how to best maintain and care for them and more. What tools do they use? There are new tools and procedures being introduced into the industry every day. Working with a doctor who utilizes the latest options in the field is always a good idea as they may be able to provide better and quicker results. What else can they do? If you love their work, wouldn’t you want to use them for other services? 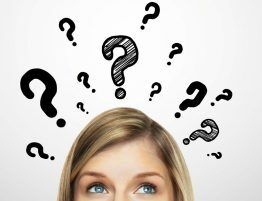 That’s why you always want to look at the additional options that are available like gum treatment, whitening, root canals, full mouth rehabilitations and more. Dental implant restoration is an investment in yourself, your health and your smile. For whatever reason you needed implants, you spent a lot of time and money getting them put in. Over the years, like anyone’s teeth, they’ve received their fair share of wear and tear. Now it’s time to work with the best dental implant dentist in Miami to address this wear and tear and restore your implants to their previous glory. Remember, it doesn’t matter how old you are, you have the right to healthy and beautiful smile and our goal is to help you accomplish that. Confidence in your smile is important. It gives a person confidence and a psychological push to take on the day. That’s why, along with being the best dental implant dentist, we also specialize in facial rejuvenation, full mouth rehabilitation and other services that help our patients accomplish the smile they want as quickly as possible. We’ve seen time and time again the demeanor of a patient change from when they walk into our office compared to when they leave. The reason? Because when they leave, they feel and look younger, healthier and more confident and that’s something we are very proud of. 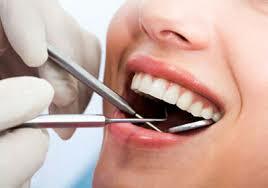 Dr. Dison dental implant restoration services are reliable, safe and get the results you want. Along with other dental services offered, patients of all ages can count on our team for exceptional care. Browse our site to learn more about these services and call us to schedule an appointment for your next cleaning or checkup today so that we can show you exactly how you can get the smile of your dreams. 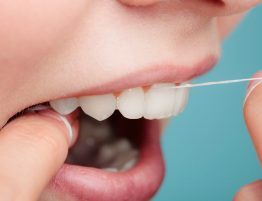 As the best dental implant dentist in Miami, Dr. Dison and her team focus on educating their patients about the best treatment techniques, not only in the office, but things that you can be doing at home. We want our patients using the best products and methods to maintain their oral health and that’s why we will sit down for a consultation to show you what you can do. In the case of implants, it’s important that you maintain them as anyone would their regular teeth. That means making sure that you brush twice a day and floss. Mouthwash is also important, and you do not want to make the mistake of neglecting your mouth because you think that the implants are stronger than regular teeth. That’s actually not the case and they are subject to the same problems, wear and tear and ability to carry plaque. In fact, you need to try and brush after every mean. Neglect in care can also lead to gum disease, something you should try to avoid. 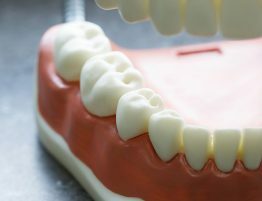 When we are asked for dental implant restoration assistance, the first thing we do is look at what is causing these issues and how they can be remedied. We are more than happy to take care of these issues and provide full mouth restoration assistance. However, the more we can help you to better maintain and care for your mouth, the happier we are. If you need to work with a dentist who specializes in dental implants, a great place to start is with picking up the phone and calling us to schedule an appointment. We will not only provide you with the best care and the latest treatment options, but we will make sure that you are also getting the best advisement on how to improve your oral care at home. Dr. Julia Dison prides herself in being the best dental implant dentist in Miami with a proven track record that stretches back for years. However, it is her commitment to her patients that truly separates her from the rest. If you would like to schedule an appointment feel free to give us a call today.